Taking care of a new puppy or kitten is a big responsibility! Many people caring for their first dog or cat will find that they have many questions about the best ways to ensure that their new pet is happy and healthy. At Peninsula Dog and Cat Clinic, we can help new pet owners ensure that their pet is given the best care possible at the veterinary clinic and at home. Below are some of the most frequently asked questions that we hear from new pet owners. When should a puppy or kitten go to the veterinarian for the first time? Unless your new pet seems ill, it’s a good idea to take your pet to the veterinarian for the first time when he or she is about 6 to 8 weeks old. At the first visit, we’ll recommend vaccinations, talk to you about spaying and neutering and give your pet a wellness examination that will help ensure your pet is healthy. Do puppies and kittens have to get vaccinations? 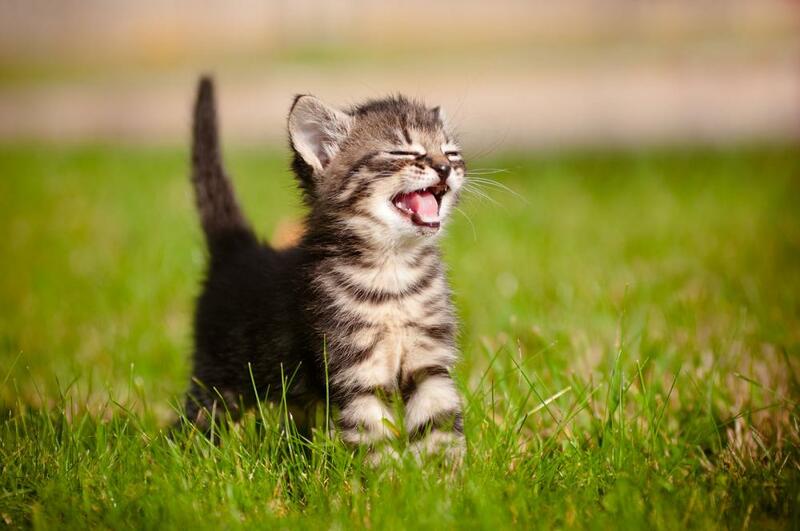 Puppies and kittens are required to get the rabies vaccine in order to be licensed. At Peninsula Dog and Cat Clinic, we provide core vaccines (including the rabies vaccine) for dogs and cats to ensure that they’re immune to a variety of common illnesses and diseases. We also recommend non-core vaccines to dogs and cats who are at risk for certain types of illnesses. We’ll let you know during your pet’s examination whether or not he or she needs non-core vaccines. What are the benefits of spaying or neutering a puppy or kitten? Reduced risk of contracting certain serious illnesses relating to the reproductive system. Reduced likelihood that your pet will wander away from home. How much food and what kind of food do puppies and kittens eat? Puppies and kittens eat pet food formulated for young dogs or cats, respectively. Follow the manufacturer’s instructions on the bag of food to ensure that you’re feeding your pet a healthy amount daily. How often do puppies and kittens need to exercise? Puppies and kittens need to exercise daily. Take your pet for a walk at least once per day, and play with your pet at least once per day. If your pet is a cat who does not go for walks, play with your pet at least twice daily. Where can your puppy or kitten go for vet care in Portland OR? Peninsula Dog and Cat Clinic in Portland is your source for kitten and puppy care in Portland. Our dedicated, experienced veterinarian can help your pet get the treatment he or she needs in order to be healthy. To make an appointment, contact us today at 503-285-7661.